We invite you to attend the Dublin Robotics District Tournament January 16th at Dublin Jerome H.S. We will be hosting a 33 team competition from 11:30 am to 4:30 pm. There are over 100 FLL teams in Central Ohio and we hope you can find the time to attend this Saturday to learn more about the students and the robotics program. FLL introduces students age 9-14 to programming, engineering, and creative problem solving. Themed competitions require teams to do a research project, presentation, and build and program a LEGO® MINDSTORM® NXT or EV3 Robot to perform a series of tasks. This year, Dublin Robotics Boosters is sponsoring 21 FIRST LEGO LEAGUE teams from 4 middle schools and 10 elementary schools with 200 students participating. We’re not talking trash – we’re cleaning it up! 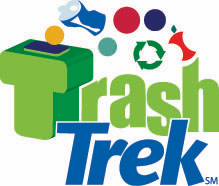 In the 2015 FIRST® LEGO League TRASH TREKSM Challenge, more than 233,000 children from over 80 countries will explore the fascinating world of trash. From collection, to sorting, to smart production and reuse, there is more to your trash than meets the eye. Join FIRST LEGO League teams on a Trash Trek to discover the hidden (or not so hidden) world of trash! This entry was posted in Announcement, Coaches, FLL, Uncategorized by Mike Smith. Bookmark the permalink.